One of six theatres that at one time lined Noble Street, this opened in 1913 as the Theatro, later becoming the Theatorium. In 1925 it was renamed Rialto Theatre. It became the Cameo Theatre February 26, 1939 when it screened “You’re Only Young Once”. Seating was provided for 936. The Cameo Theatre was operated by Alabama Theatres. The Cameo Theatre closed in 1955. According to the Anniston City Directory, the Cameo was also known as the Theato/Theotorium between 1913 and 1924, and the Rialto between 1925 and 1939. Although the original building still stands, there is little evidence of it ever being a theatre. Here is a photo from September 2006 of the building which once was the theatre. 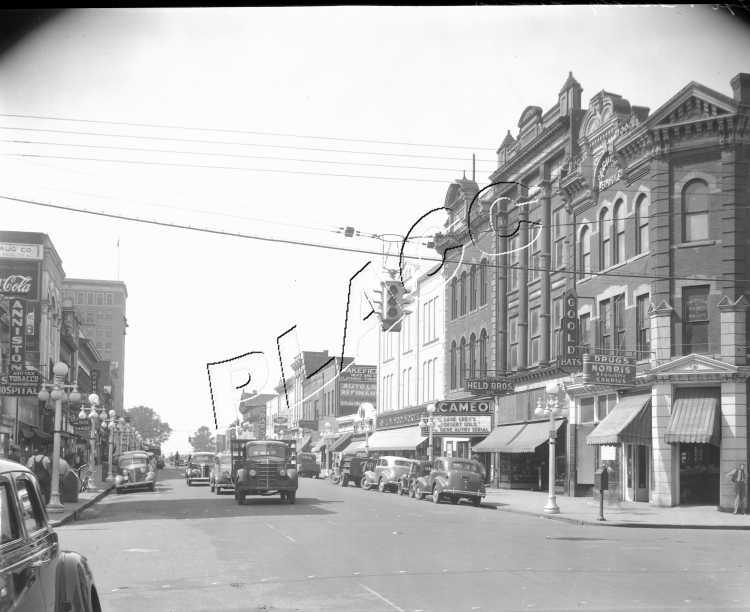 This is a photo of the building when it was the Cameo Theatre. It’s still the same gift shop that was seen in the 2006 photo.